Have you ever read a book for the second time, and only then noticed that the author slipped in sneaky, little clues to things that happen later in the book? 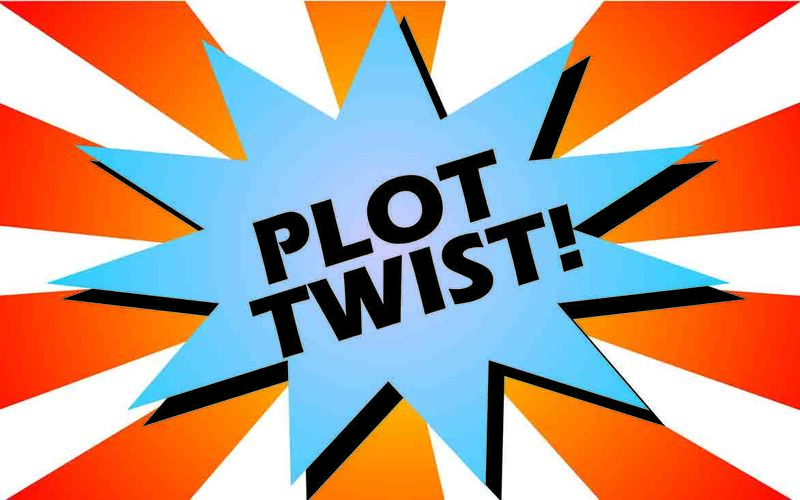 Have you ever encountered a plot twist so unexpected that you had to put the book down and stare into space just to comprehend the sheer cleverness of the twist? After either of those scenarios, have you, as a writer, wondered just how those authors managed to come up with something so ingenious, and decided that you will never be as talented as them? That’s exactly how I felt a few years back. Now, on the other hand, I know differently. Yeah, these authors are awesome. But their ability to write clever plots isn’t superhuman. They haven’t been bitten by a radioactive bookworm. Writing clever narratives simply requires practice and hard work, plus a toolkit of tricks. With those three elements, any writer can write plots so clever they’ll have readers discovering new layers and inside jokes in their work for years to come! Below, I’ve jotted down just a few tricks I’ve acquired that have helped me write cleverer plots. I’ve read somewhere before that there are two kinds of writers: architects and gardeners. Architects plan every point of their story’s narrative before writing the first sentence, like they’re mapping out the blueprints to a building. In contrast, gardeners plant the seed of an idea, start writing, and often find that the flower they end up with is very different to the one they thought they had planted. In order to write cleverer plots, I would suggest being an architect, at least to some degree. If you want to be able to slip in clues early on to things that happen later in the story, you need to know what is going to happen, if only on a bigger picture sort of scale. Character names can be extremely useful when creating clever plots. Names can hint to a character’s nature, intentions or function. For example, the main character in Ridley Scott’s movie Blade Runner is called Deckard. This sounds a lot like the philosopher Descartes (pronounced ‘Day-cart’) who said, ‘I think therefore I am’. Since the character deals with the idea of whether robots count as people, his name is well-chosen and links to his function in the plot. I personally tend to use a lot of simple Latin or Greek words to name my characters (I don’t speak either. Google is my friend). That way, the average person wouldn’t work out the plot clues I’ve left in some of their names unless they were pointed out by someone who knows a bit about Latin or Greek. It’s a simple trick, but it makes your writing much richer. Lawyers are pedantic when it comes to language. They have to be: it’s the only way they can find loopholes in the law. Writers can use the same mentality to find loopholes in their own language, and then exploit the reader’s assumptions with a fiendishly clever plot twist. For example, one character could say that they had never met their father. That doesn’t mean that they don’t know their father is the villain. It just means that the two characters have never been face to face. Cue an ingenious way for a good character to become a traitor and join the villain. Foreshadowing is just subtly warning of a future event. Readers may not even pick up on these warnings during the first read, but they definitely would on the second one. Foreshadowing could be included in the story in as simple a way as having a character say that something will happen, then everyone ignores them (possibly because they’re mad or a funny character), and then the thing actually happens. Or, foreshadowing could be played out with actions. Eg. A character could complain about burning himself on a campfire, explaining that it happens to him every year. Then later in the plot, he could die in a burning building. Leaving hints by foreshadowing is a brilliant way to write cleverer plots. By this, I don’t mean build an army and try to take over the world (we can’t all do that). What I actually mean is that you could revolutionise what people expect to happen in fiction. George R. R. Martin is a classic example of this. Before his Song of Ice and Fire books, people liked to think that they had a good idea of which characters in stories would die and which ones would survive. Yeah, the good guy might die at the end, but ultimately good would triumph over evil, right? That’s not the case anymore. Anyone could die at any time. And thanks to his innovation, this idea is spreading through new fiction like wildfire. In the future, there may be no such thing as ‘shock deaths’ anymore. There may only be ‘shock survivals’. Who knows? Anyway, like I said, authors don’t need to be particularly gifted writers to write clever plots. They just need to put in the hours and use these few tricks, among others that I may not have listed in this blog post. If you’ve made it this far then “thank you!” In the future, I’m planning to write more on the subject of authors, publishing, and the craft of writing. I hope you revisit my blog. If you enjoyed this post then please share it on all forms of social media. Message me on Twitter at @dkparsonswriter if you have any other suggestions to improve this list in a future blog post.